DLK’s Collagen Induction Therapy (CIT) is an electric Micro-Needling system that rejuvenates the skin by using surgical-grade needles to penetrate the skin up to 150 times per second to induce the production of new, healthy collagen while treating conditions such as fine lines and acne scars. This treatment’s unique delivery of micro-needling therapy is scientifically proven to stimulate fresh collagen production and facilitates the formation of healthy skin without causing excessive damage to the epidermis. The treatment’s 6 needle cartridge is carefully designed to perfectly penetrate the epidermis, allowing it to repair itself naturally and safely resulting in smoother, brighter, and healthier looking skin. Quick, comfortable treatment with minimal downtime. 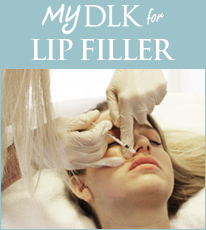 DLK’s CIT Treatment improves skin tone and texture for conditions such as fine lines and acne scars while tightening the skin and reducing pore size. The treatment combines the most advanced, medically-engineered technology with the most sophisticated medical-grade needles for an effective, customizable, comfortable and safe treatment. During the treatment a hyaluronic acid solution will be applied topically to the treatment area allowing the needles to move smoothly over the surface of your skin. The solution is made from hyaluronic acid and other skin enhancing ingredients that hydrate and rejuvenate dry and aging skin. The needles used by the treatment are symmetrical and a-traumatic (non-traumatic) and are similar in shape to surgical needles. The structure of the needles and their geometry keeps the skin straight while the needles go in and create the CIT. Patients may require antiviral pills the night prior, and day of the treatment. This is a precaution as infection can interfere with good wound healing. This prescription will be given to you by Dr. Kellett before the day of your treatment or can be called in to your pharmacy. When you arrive for your appointment on the day of treatment, your face will be cleaned and a topical freezing cream will be applied. Immediately after the treatment your skin will feel warm, and may be slightly red. This settles quickly, usually within 24-48 hours. Instructions on how to use your post-procedure at-home products will be provided. This treatment combines in-clinic treatments and at-home prescribed products. 3-6 treatments approximately one month apart will usually be required for optimal results. Maintenance treatments can be used to maintain results after your initial course of treatments. Results may be seen as early as one week after treatment, and are visible at six weeks and can continue to improve for up to 6 months.